Incandescent bulbs have been phased out in stages in the UK since 2009 thanks to widely-unpopular European regulations. While many people preferred the warmer glow given by the incandescent bulbs, 95 per cent of the energy that goes into them gets turned into heat rather than light. Lynn was selected at random to win a premium Duracell LED torch! Designed for easy installation with integral solid quick release brackets, these LED batten fittings are designed to enhance room lighting. Perfect for display showrooms, offices and kitchens these are also proving popular for replacement lighting in garages and attics due to the premium crisp light quality. IP20 internal use only. Sleek Aluminium / Polycarbonate resistant Profile. Slimline design just 25mm depth and 75mm width. Fully enclosed unit, pre wired at the full length. Accepts 110V and 230V power supplies. No more tube replacing, No more starter changing, No more flickering light and energy savings up to 70% compared with fluorescents light fittings. These LED fittings can be fitted directly to the surface or with the separately supplied suspension kit – Click Here! Available in 2ft – 3ft – 4ft – 5ft and 6ft sizes, these fittings are quickly becoming one of our best sellers. For prices and stock availability – CLICK HERE! Planning a Summer party in the next few weeks? With the temperature unfortunately dipping, the evening BBQs and outdoor parties can become a cold place to be; jumpers and cardies can become a disappointing sight and necessity. We love summer barbecues and we love summer parties! We do not love wearing Winter clothing during the summer though, so here is our idea! Get yourself an outdoor heater – These bad boys push out so much heat, you can stick your sunnies on and dream you’re on a beach somewhere! Okay, maybe your imagination isn’t that great, but you get the idea. Keep the party going outdoors this summer – Stay warm – And more importantly keep the sweaters and cardigans off! Remember when LED bulbs first came about and they cost a small fortune. Well, those days are over and you now have absolutely no excuse to still be using old filament bulbs. Apart from the improved performance and dramatically reduced energy consumption afforded by LED bulbs, they also last for an astonishing 10 years before you have to change them. With prices around the £2 mark, the savings can now be made much quicker. REPLACEMENT BULB FOR LAMPS UP TO 500 WATTS: LED bulbs turn on at full brightness with extremely high lumen outputs now available! LONG LASTING: With a lifetime of up to 50,000 hours, you can reduce the hassle of frequently replacing your light bulbs. The savings made during this period vary from lamp to lamp - But you will reduce you power usage instantly resulting in instant savings financially. ENERGY SAVINGS: Enjoy the energy-savings of LEDs without sacrificing light quality. With powers from as low as 1 watt, as mentioned above the savings are instant. Check out our range of LED lamps here - CLICK HERE! Also check out our energy savings calculator. This is for fluorescent lamps, which means the savings can be as much as double - CLICK HERE! CELEBRATING 10 YEARS OF ONLINE TRADING! SINCE 2005 LAMPS2UDIRECT.COM HAVE LEAD THE WAY IN THE ONLINE SUPPLY OF LIGHTING, ELECTRICAL ACCESSORIES AND COMPONENTS. COMBINING THE BEST PRICES ONLINE WITH A 5 STAR SERVICE - WE STRIVE TO DELIVER THE GOODS YOU WANT AS QUICKLY AND HASSLE FREE AS POSSIBLE. WHETHER IT'S LIGHTING FOR YOUR HOME OR BUSINESS WE TREAT EVERY ORDER WITH THE UPMOST IMPORTANCE. If you have Seasonal affective disorder (S.A.D) your sleep patterns, energy levels and mood may change in autumn and winter, and you may feel low during long periods of dark weather. If this unhappiness becomes problematic every year, you may have a condition known as S.A.D. S.A.D is most common between the ages of 18 and 30, although it can develop at any age. But Studies show that S.A.D affects more women than men. S.A.D is sometimes known as "winter depression" because the symptoms are more apparent and tend to be more severe at that time of the year the symptoms often begin in autumn as the days start getting shorter. But they are most severe during December, January and February when it is the darkest. Light therapy is an effective treatment for seasonal affective disorder. Such as the light intensity, safety, cost and style. As with any type of depression, S.A.D can be difficult to live with. It can make you feel tired, stressed and unhappy. However it can be successfully treated. Light therapy is used to treat S.A.D. It involves sitting in front of or beneath a light. These lights produce a very bright light to help with seasonal affective disorder. A light box mimics outdoor light. Researchers believe this type of light causes a chemical change in the brain that lifts your mood and eases other symptoms of S.A.D. How much UV light does it release? Lights bulbs for S.A.D should be designed to filter out most UV light. Look for a daylight bulb that emits as little UV light as possible. Although eye damage from using a daylight bulbs is uncommon, blue light bulbs may pose a greater risk of harming your eyes than white light does. What to do when you have got the daylight bulb? Think about where you'll want to place your light. Keep in mind that most boxes need to be within 2 feet (61 centimeters) of you. A daylight bulb has to emit 6,500k to be considered for the SAD treatment. Lamps2udirect.com offer “Daylight Bulbs” for the S.A.D/Daylight treatment. We support and advocate Light Therapy. We stock these specialised Daylight Bulbs that omit a crystal clear, almost blue hued light. Our collection of daylight light bulbs is extensive. We offer craft lights, fluorescent tubes, energy savers and LED bulbs. so we will have the right bulb for you. Record Price Increases In Compact Fluorescent Light Bulbs! Lamp manufacturers are predicting record price increases in CFL light bulbs mainly due to the emerging shortage of rare earth metals used in their production- principally, phosphors. This shortage of metals is caused by a strategic reduction in exports by China, the world’s current and dominant leader in rare earth mining. In October, the Chinese announced plans to not only cut their production, but also to reduce exports by one-third. Since China currently produces 95% of the world’s total output of rare elements, the threat of global shortages is suddenly real and critical. Consumption of rare earth metals is exacerbated by the increasing importance in the development of green technologies such as batteries, magnets, computer hard drives, TV screens, smart phones, and energy-saving light sources. Within a few years, rare earth metals such as europium, yttrium, and terbium will be incorporated into almost every light bulb on sale. Fluorescent light bulbs and video screens depend on fluorescent properties in certain rare earths. In fact, the first commercial use of a rare earth metal occurred in the 1950’s with the introduction of color televisions. Europium, which glows red when hit with an electron beam, is still used today in LED and plasma TV’s, along with another rare earth, terbium, which glows green. Energy-saving compact light bulbs gain much of their brightness from rare earth phosphors. With the industrialized world moving rapidly from incandescents to fluorescent bulbs, this industry represents a built-in and on-going demand for rare earths. The U.S. conversion from incandescents to fluorescents is scheduled to be complete by 2014. The Kroll Institute has research projects underway which relate to the extraction and refining of rare earths. The biggest challenge to recovering these metals is separating them from one another. The company is also participating in a pilot program to recover rare earths from recycled fluorescent bulbs. This program, funded by the National Science Foundation, was initiated last year in conjunction with General Electric and Veolia, the country’s largest recycler of fluorescent bulbs. Rare earths are actually not all that rare. They are generally deposited together, and occur widely, but in great diffusion. Since rare earths tend to intermingle and are very similar chemically, separating them is a difficult and costly undertaking. Another factor limiting supply is the reality that there are only a few deposits large and concentrated enough to support a profitable mining operation. Because of its state-supported mining industry, China has largely made it impossible for the U.S. and other nations to compete in the marketplace. Because China controls the world’s output, they also control pricing and availability, making the large industries who are dependent on the metals, vulnerable. California’s Mountain Pass Mine, recently sold to Denver-based Molycorp Minerals, holds the largest known reserve of rare earths in the U.S. Located south of Las Vegas in the California desert, Mountain Pass was once the world’s largest producer of rare earth metals from the 1950’s to the 1990’s. Unable to compete against China’s state-supported mining industry, Mountain Pass ceased production altogether – by the mid-2000’s, U.S. rare earth mining had virtually disappeared, allowing China to become the dominant producer globally. Even as the demand has grown world-wide in new and emerging technologies, China’s indication that it will cut its exports of rare earths has caused prices to skyrocket. The flip side of the coin is that as prices rise, mining these rare elements once again becomes a profitable enterprise. U.S. mines are producing again. Further exploration of future sites has begun in Wyoming, Alaska, and Idaho. The most optimistic estimates state that the U.S. can become self-sufficient in rare earth production by 2015, though more cautious analysts believe it will take more than a decade. Energy saving lamp specialist Megaman has supplied its 7W LED GU10 lamps for use throughout the main public areas of the National Marine Aquarium in Plymouth, Devon. Following installation, the estimated savings are already being calculated as 35,724kWh annually, which amounts to 15.4 tonnes of CO2. The Aquarium had been looking to change its existing halogen lamps situated in all public areas for sometime and approached local wholesaler Western Electrical for advice. "The original halogen lamps had a very short shelf life so we were constantly replacing them, plus the heat generation was a problem over some of the smaller chilled water tanks" commented Jim Farley, Senior Engineer. "Having trialled various leading brands, none actually came anywhere near to the lux performance of the existing 35W and 50W halogens until Megaman's 7W LED GU10's were put to the test". Providing a crisp cool white light, Megaman's GU10's offer a life of up to 25 times longer than their halogen dichroic equivalent, 3 times less heat output and can be retrofitted into existing fittings, thus providing a fast return on investment. The Aquarium's original electrical system included 240v, 12v and track fittings so it was agreed that changing some of the fittings would allow for a uniform GU10 mains powered system throughout. This, in turn, would result in an easier option for the maintenance team to keep one standard lamp type in operation throughout the building. The Ban On Incandescent GLS Lamps.....THE FACTS! To combat climate change the european union has agreed to phase out coventional light sources that are energy inefficient. According to an EU directive, from 1st September, 2009 manufacturers and importers may no longer sell incandescent lamps with an output if 80watt (950Lumens) or more or which are frosted and not in energy class A. Clear lamps with more than 950lumens must achieve at least energy class c, and ones with less than 950 lumens at least energy class E. Lamps in energy classes F and G will be banned for 1st September, 2009.
this date. There is technically no cut off date by which existing stocks must no longer be sold. Desk lamps from Fozz Lighting incorporating Megaman's energy saving lamps are being used to provide decorative, yet functional illumination in a £400,000 bedroom refurbishment at Burleigh Court, a four star hotel and conference centre located at Loughborough University in Leicestershire. Burleigh Court is one of the largest residential conference centre hotels in the UK and provides exceptional value and comfort, offering excellent accommodation for business travelers. As part of an ongoing refurbishment programme, and to adhere to the company's strict environmental policy, management was looking at replacing all existing lighting with fixtures utilising energy efficient lamps. The bedrooms required modern, sleek desk lamps to blend in with the surrounding décor which incorporated a good light source that would not omit a high heat output. Following trials of desk lighting supplied by local electrical wholesaler ERF, the Opus desk lamp from Fozz was chosen as the preferred product for all of the guest bedrooms. Designed for use with Megaman's energy saving GX53 lamp, Opus is manufactured from zinc alloy with a solid glass base and is available in two colour options, matt silver or matt chrome. The compact GX53 lamp provides excellent all-round light distribution and uses Megaman's unique Ingenium® technology which gives 15,000 hours life. Available as a desk or floor lamp, the ultra modern design of Opus provides an excellent illumination for all visual requirements without any heat generation. Following the installation at Burleigh Court, Gary Herder, maintenance manager, commented "We are very pleased with the performance of the Megaman lamp and also the overall appearance of the sleek Fozz Opus desk lamp, which complements the hotel's decoration. We have completed Phase I of our refurbishment project and will definitely be using Megaman's lamps elsewhere in the hotel and conference facilities". CLICK HERE TO VIEW MEGAMAN FOZZ LAMPS! A lot has been reported in the media the last few days regarding the banning of certain light bulbs. Not all of the information has been correct and much of it has been misleading. We have received many phone calls and emails with questions, asking to clarify exactly what is happening. The ban will commence on 1st September 2009. This means they will not be manufactured anymore. They will still be on sale until stocks sell out! What bulbs are being banned? All pearl bulbs, regardless of their wattage, and all clear bulbs over 60 watts will be affected. In general, if a there is a low energy alternative/replacement for an incandescent bulb, the incandescent will be affected. Click Here To View - Expiring bulbs! Am I still allowed to buy and use traditional incandescent bulbs? YES! The ban does not affect the purchasing or usage of the "Banned" bulb. The ban only stops production and importation. Current stocks and supplies can continue to be sold but once the supply has been exhausted they can not be replenished. Aren't Low Energy Bulbs are extremely expensive? The prices of energy saving light bulbs have come down in recent times - and are now available for as little as £1.65 @ Lamps2udirect.com, and because they use up to 80% less energy they will lower your electricity bills. Low energy bulbs can also last up to 16x that of traditional bulbs, so hour for hour, low energy bulbs usually cost less. Low Energy bulbs contain mercury how should I dispose of them? They should be disposed of at designated recycling bins. Your local Council can provide information of the locations in your area. For more information - Click Here! Low Energy Bulbs offer inferior light quality, don't they? Choose the correct replacement and an energy saving light bulb will give the same lumen output as a traditional incandescent. The colour rendering of an energy saving bulb is about 85% of that of an incandescent, but technology is continuously being developed to close this small gap. Lots of my lights have dimmer switches. Can I fit them with energy saving bulbs? Although most energy saving bulbs are not fully compatible with dimmer switches, Lamps2udirect.com offer a range of fully dimmable low energy bulbs which work exactly like traditional bulbs - Click Here To View! Many shops, electrical suppliers and supermarkets have already run out of stock of the Banned Bulbs, where can I continue to buy them from? We will be receiving deliveries of the banned bulbs, so will continue to sell them, for the foreseeable future. The only restriction on the purchase of these bulbs is consumers are limited to buying 200 of each type of bulb, per order. Need help in creating the perfect lighting designs in your home! Look here for some ideas! The props for these ideas can be purchased here online!! 100 Watt Bulbs, what's the truth? There has been much speculation in the press recently regarding the demise of the much loved 100 watt light bulb. Stories of bulk buying and shops running out have lead to many people thinking that from the end of this January you will not be able to buy them anywhere. THIS IS NOT TRUE!! The ban on 100 watt incandescent bulbs is only a voluntary Government scheme that large retailers have taken up. Most of these retailers stopped replenishing supplies towards the end of last year (2008) and have now all sold out. The manufacturers above are all going to continue to supply the bulb up to 28th August 2009 and all of the above suppliers have large quantities on back order for their customers including us. Interestingly, Crompton say they sold 3 years worth of stock in just 2 days last week and where we are out of stock, we will receive replacements in Mid-February 2009. The 100W bulbs being phased out are Britain's best seller ! Last year retailers stopped selling 150W bulbs, while they will phase out 60W bulbs next year. The voluntary ban covers ONLY high street chains and supermarkets. 100W bulbs will still be available from Lamps2udirect.com right up until September 2009. However, The EU will impose a ban on sales of 100W bulbs from September 2009. It will also ban all types of frosted glass incandescent bulbs now that is a bit of a sweeping statement and we are currently seeking clarification of it's meaning. We have asked how this ban will be enforced as we can still buy these bulbs from European and Far Eastern suppliers and Sylvania and GE Lighting said they THINK it will be policed by the LIF ( Lighting Industry Federation ). The Department for Environment, Food and Rural Affairs confirmed that it will have no power to enforce fines or legal proceedings until 2016. The voluntary phase agreed by retailers is set to remain in place until 2012. Tougher measures could then be imposed on retailers who continue to stock traditional bulbs but criminal charges will not be possible until EU mandates are implemented in 2016. We are advise in the meantime is to try an energy saving lamp. If you think the light output is appalling or are concerned about brightness and start up times then, in our opinion, you are not buying the correct type of bulb. Please talk to us becuase we will be able to point you in a direction that will lead to us supplying you with a bulb that will offer like for like replacement. Dementia could be slowed significantly by treatments which reset the body's natural clock, researchers have said. The Dutch team used brighter daytime lighting - with or without the drug melatonin - to improve patients' sleep, mood and cut aggressive behaviour. It concludes that these can slow deterioration by 5% - which a UK specialist said meant patients living in their own homes for months longer. The disruption to the body's circadian rhythm - the natural cycle that governs sleep and wakefulness - can be one of the most difficult of dementia symptoms for carers to cope with. It can mean that people with the illness can be asleep during the day, but fully awake for periods during the night. Other studies have suggested that the use of bright room lighting and melatonin can help adjust the "clock", and the researchers from the Royal Netherlands Academy of Arts and Sciences in Amsterdam managed to recruit 189 care home residents to take part in an unique trial. Six of the care homes taking part had lighting installed, and this was turned on between 9am and 6pm every day. Some of the patients, most of whom had some form of dementia, received melatonin, a naturally-occurring hormone, and their progress was then monitored for at least the next year. Those who had melatonin, but no extra lighting, had better sleep patterns, but tended to be more withdrawn and have a worse mood. However, patients having melatonin and bright light together managed to avoid these mood problems. Even having the light without melatonin slowed "cognitive deterioration" by 5% compared with those homes which did not install brighter lighting, and depressive symptoms fell by 19%. The study authors said that care homes should consider introducing the lights for their residents with dementia. Dr Michael Hastings, from the Medical Research Council Laboratory for Molecular Biology in Cambridge, and himself a researcher into circadian rhythms and Alzheimer's disease, said the study results were "spectacular". "Although 5% may not sound like a huge amount, it compares well with treatments such as Aricept designed to slow the progression of the illness. "Over the course of Alzheimer's, it could represent six months, and you have to remember that the light therapy is completely non-invasive, and melatonin is a very gentle drug." 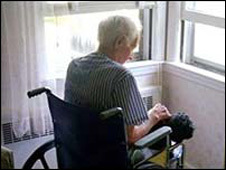 He said that sleep disturbances were often the "final straw" for relatives trying to cope for people with dementia. "You can have a situation where someone is asleep for part of the day, then at 3am will be awake, wandering around the house, turning the gas on. Relatives can manage quite a few of the symptoms of mild or moderate dementia, but this can be too much. "It's a crunch issue, and if someone could be kept at home for an extra six months, rather than placed in a care home, there are huge personal and social benefits." He added that since circadian rhythm disruption was a feature of other neurological diseases, such as Huntington's and Parkinson's, there might also be an application for the therapy elsewhere. The latest addition to the Megaman family of energy saving lamps is the innovative new DIMMERABLE® Range, which enables users to enjoy the benefits of dimmable fluorescent lighting without the need for special control gear or control wiring. This unique product can be used with a conventional light switch and with normal lamp holders, meaning no change to the existing on/off fitting and saving on any extra retrofit costs. No additional control wiring or transformers are required for use. Lamps in the DIMMERABLE® Range can change the ambience of a room at the flick of a switch, providing dimming of GLS replacement compact fluorescent lamps using a built-in electronic ballast and offering a high performance, linear dimming capability. Dimming is stepless from 10% to 100% with no delay in response to dimming signals from the switch. Lamps can also be switched off at any dimming setting. DIMMERABLE® lamps incorporate Megaman's exclusive, patented INGENIUM Technology, providing a 10,000 hour life, flicker-free operation with stable light output. They are compatible with most electronic dimmers and digital dimmers for incandescent and halogen lamps. CE and SEMKO approved, all Megaman lamps are extremely energy efficient and the DIMMERABLE® range achieves even greater savings in energy and running costs when dimmed. As distributors of lamps, we are recognising that our business activities and products can have an impact on the environment. Our company policy is to be as environmentally conscious as possible in all areas of our company life. We endeavour to recommend our customers the most energy efficient lamps and bulbs for each application. We have an extensive selection of energy efficient lamps in stock - CLICK HERE TO VIEW OUR ENERGY SAVING SELECTION! We now have accreditation with the Energy Saving Trust, which means we are approved suppliers of energy saving products that the organisation recommends to consumers. We are members of the Lighting Association, the European organisation working as the voice of lamp manufacturers, distributors and retailers. In partnership with the Lighting Association we are offering customers the opportunity to purchase subsidised energy saving lamps - CLICK HERE TO VIEW OUR SELECTION! The WEEE directive was introduced into the UK on July 1st 2007. This legislation is concerned with the disposal of Waste Electrical and Electronic Equipment. Specifically in the lighting industry. It affects the disposal of lamps containing mercury, sodium, as well as using fluorescent technology such as tubes and energy savers. These lamps need to be recycled at an approved designated collection facility. Lamps2udirect.com is fulfilling their distribution obligations as a member of the WEEE distributor take back scheme and is providing consumer information throughout www.recycle-more.co.uk in accordance with the WEEE regulation instead of offering in-store take back.